A decal from our elephant wall stickers collection to give your home a very unique and cultural atmosphere. The cultural decal will look amazing anywhere in your home. The unique design features a woman riding an elephant and both are dressed in cultural designs and patterns. 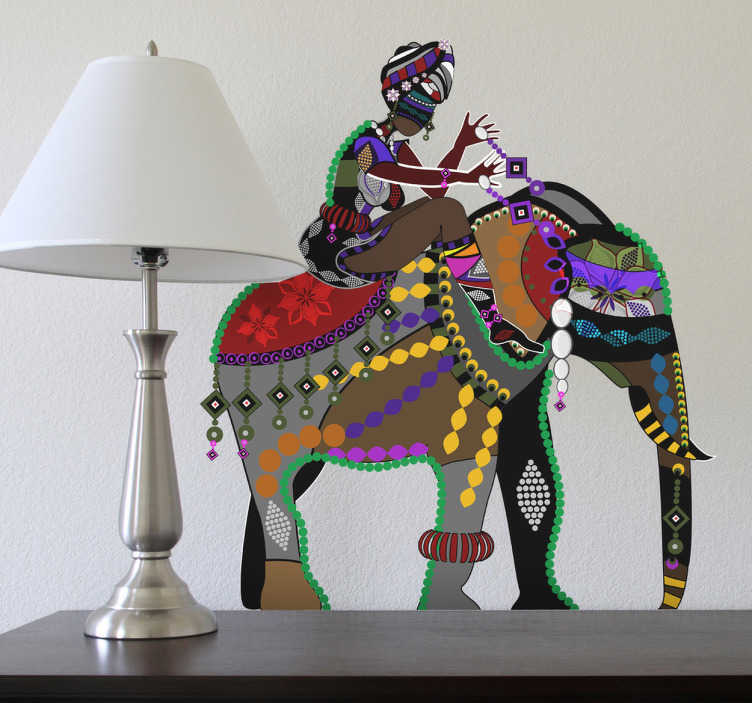 The elephant decal will give your wall an artistic look. All of our animal wall stickers are easy to apply and leave no residue on removal.